Fiona Wills Accountancy Services Ltd manage the business and personal accounts of a number of clients in Kendal and the surrounding area. I understand your time is valuable and as a Mobile Accountant, I will visit you for meetings and to collect your paperwork, rather than the reverse, thus freeing up your time to concentrate on your business. I am an ACCA qualified chartered accountant with a personal and flexible approach to my accountancy practice, including a Mobile Accountant service in Kendal and throughout much of Cumbria. To read more, please take a look at the About Me page. A number of Testimonials are available on-line. If you would like specific references from the Kendal area, please ask. 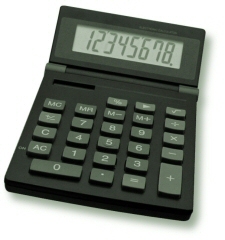 Fiona Wills Accountancy Services Ltd offer Mobile Accountant services to companies, individuals and organisations in Bowness-on-Windermere, Cotes, Crook, Dent, Heversham, Kendal, Levens, Lupton, Milnthorpe, Natland, Sedburgh, Sizergh, Staveley, Tebay, Windermere and more! I also have many satisfied clients throughout much of the wider Cumbria area.